The CoffeeShop Blog: CoffeeShop "Fall Facebook Cover"! I am behind on my blog, but I am getting caught up and today I have a new Facebook cover to share with you! You can change the background color/texture and also add any text you want. I used Landliebe font and this pretty fall wreath and you can grab both for free! A special thanks to Lisa Rubel Photography (website, Facebook, Instagram, Twitter) for allowing me to use her stunning image in my example above. 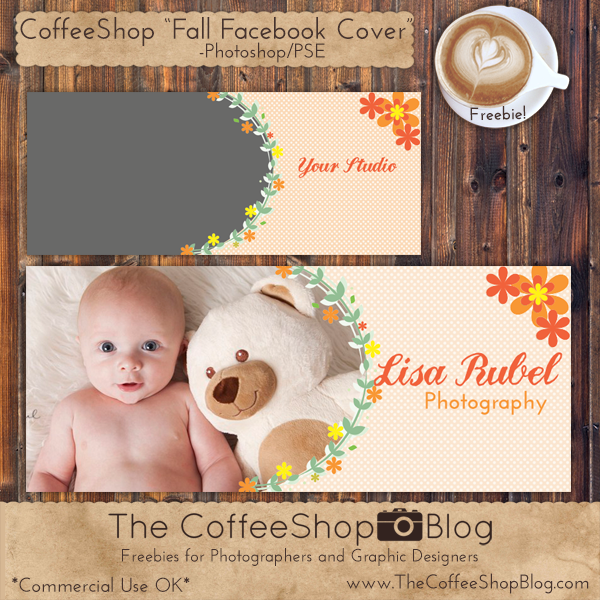 Download the CoffeeShop "Fall Facebook Cover"!